After the end of World War II, black Americans’ protests at the discrimination they faced on a daily basis increased. The Civil Rights movement owed its beginnings to several factors. During the war, black Americans had served in segregated units in the US army. 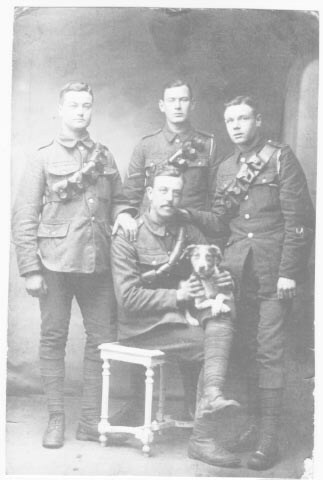 They had been told they were fighting for freedom, human rights anddemocracy. Yet, these ideas did not seem to apply to them, particularly if they lived in the Southern states. Black Americans were now more ready to ask why they did not share these rights. Furthermore, the end of World War II signalled the start of the Cold War. The USA now saw itself as leading a world struggle against the spread of Soviet-backed Communism. As part of this struggle, the USA tried to demonstrate the superiority of its way of life compared to the Communist alternative. This meant that, increasingly, it was no longer possible for the federal government to ignore the racism endemic in the Southern states. If all people were held to have been born equal, then that meant black men as well white men. For the first time, the federal Government was prepared to address some of the inequalities that black Americans suffered. Also, a new generation of black leaders had emerged. Foremost among these, was a southern Baptist preacher called Martin Luther King. King and his supporters formed a new organisation – the Southern Christian Leadership Conference. They adopted new methods and tactics in the struggle for equality, and found considerable success in doing so. King had been impressed at the success of Mahatma Ghandi’s fight against British oppression in India by using non-violent protest and civil disobedience. King decided to follow Ghandi’s example. In doing so he gained widespread support from black Americans, and even from many whites. King wisely realised that television could help increase awareness of the plight of black Americans and spread his message. For the first time, white Americans outside the South became fully aware of the racist treatment of black Americans. In 1954, the Supreme Court made a historic ruling – it declared that the doctrine of ‘separate but equal’ racially segregated schools was unconstitutional. This meant an end to segregated schools. Across the South, white segregationists were furious. They made it clear that they would resist any attempts at racial integration. In 1957, a crisis developed in the town of Little Rock, Arkansas, where the state governor tried to forbid nine black teenagers from entering the local high school. President Eisenhower eventually had to send troops to Little Rock so that the teenagers could attend school. The Civil Rights campaign began in the late 1950s and continued into the 1960s. Martin Luther King insisted that all the action taken should be totally non-violent and peaceful. Serious and brutal violence certainly occurred during the campaigns – violence by white racists against the Civil Rights protesters. The Montgomery Bus Boycott, 1955. This developed out of an incident where a black woman was arrested for refusing to sit in the ‘blacks only’ area of a bus in Montgomery, Alabama. The NAACP organised a boycott of buses by black people. Eventually, the bus company faced bankruptcy and the bus service was desegregated. This was a major victory in the struggle for civil rights and inspired Martin Luther King to take things further, using similar non-violent methods. The ‘Sit-In’ Campaigns. Starting in 1960, this involved young black people entering segregated public facilities, such as lunch-counters and snack bars, and attempting to order food. At all times, they behaved in a peaceful and law-abiding manner. This was met with verbal and physical abuse. Large numbers of protesters were arrested, with many beaten by the police. Television coverage of the campaigns and the racist violence shocked the country, and pressure was put on the federal government to take action. The ‘Freedom Rides’, 1961. Travelling by bus, groups of young Americans, both black and white, entered the South to challenge the ‘Jim Crow’ laws that enforced segregation of the races and oppression of black Americans. Organised by the Student Non-Violent Co-ordinating Committee and the Congress of Racial Equality, the Freedom-Riders were totally non-violent. However, they met a frightening level of violence from mobs of Southern racists. Once more, Americans from outside the South were appalled at this and pressure increased for the federal government to intervene. Protest Marches. Of all the action taken during the Civil Rights campaign, the protest marches were the most dramatic. King realised that protest marches were a very good way of gaining publicity for the movement. By 1963, the Civil Rights campaign was gaining momentum and protest marches and demonstrations took place across the Southern states. In the spring of 1963, King decided to organise a large-scale protest campaign in Birmingham, Alabama, where Governor George Wallace had declared his total support for segregation. There was serious violence – the Alabama state police brutally attacked the marchers, using fire hoses, dogs, and tear gas – King and other leaders were arrested. Martin Luther King’s Civil Rights campaign had been a success. It had gained the support of black Americans across the South, and of large numbers of white Americans. This was shown by the huge support given to the Civil Rights march in Washington, in August 1963, where over 200,000 took part. King made his famous “I have a dream “ speech, in which he urged the creation of an integrated, non-racist America, with full civil rights for all US citizens. By now, action by the federal government on Civil Rights could no longer be delayed. Remarkably, this action was taken by President Lyndon Johnson, a Southerner from Texas. This made racial discrimination illegal in public places, such as theatres, cinemas and restaurants. Discrimination was also made illegal in many areas of employment. Finally, the federal government now had the power to take action against any state still operating policies of segregation. In 1965, King led a march through Selma, Alabama, to protest at the political discrimination against black Americans. Yet again, serious violence developed at the hands of white racists. In response to this, Johnson introduced a further Civil Rights reform. In August 1965, the Voting Rights Act became law, removing all barriers which prevented black Americans from registering as voters. The non-violent campaigns of the Civil Rights movement during the 1950s and early to mid-1960s achieved notable successes. With charismatic and intelligent spokesmen such as Martin Luther King, the Civil Rights campaigners had brought the plight of black Americans to the attention of the whole world. The federal government had been forced to respond and the legislation of the nation had been changed to address the inequality and oppression experienced by millions of black citizens. For many black Americans, and also many sympathetic white Americans, the hope was that the USA was entering a new age of equality and meaningful civil rights for all citizens. By the mid 1960s, however, many black Americans were becoming disillusioned. Many Southern states continued to harass and persecute blacks regardless of the new legislation. Some black Americans, particularly in the north, wanted to follow a more drastic course of action. By the mid-1960s, a new form of black protest movement had developed, rejecting King’s methods of non-violence. The leaders of these more radical movements came more from the Northern states. They argued that, in the cities of the North, black Americans faced intense racial discrimination in the form of poverty, inadequate housing, poor health, lack of educational provision, low wages, and crime problems. The Civil Rights campaign, in their view, had done nothing to deal with these problems. The black radicals believed that black Americans should be more ready to assert themselves. They adopted slogans such as “Black is Beautiful” and “Black Power!” and argued that blacks should take control of their own lives and not wait until white America was prepared to make some changes towards racial equality. “What we need is Black Power” This phrase was first used by the Civil Rights campaigner Stokely Carmichael in 1966. That year James Meredith, another black Civil Rights campaigner, was shot. Carmichael and his supporters, sickened at this violent act, believed that black Americans should cease asking white Americans to help them, as King had been doing. Instead, they should form their own communities, run their own businesses, choose their own leaders, and, if they had to, be ready to use violence to defend themselves. The Nation of Islam, founded by Elijah Muhammad, rejected Christianity as a white man’s religion. They urged black Americans to follow Islam. The most well-known of the black Muslims was Malcolm Little, more famous as Malcolm X. His name symbolised the complete rejection of white society. Malcolm X argued that as a descendent of slaves captured in Africa, his real surname had been lost and replaced by the surname given to his family by the slave owners. As a symbol of his protest, Malcolm refused to use or recognise his ‘slave name’ and called himself X instead. The Black Muslims claimed that white society was racist and corrupt. Malcolm X urged black Americans to reject white society, and form a distinct, and in his view, better society of their own. 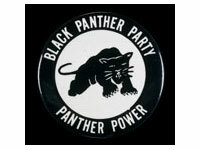 The Black Panthers were a militant organisation which totally rejected King’s non-violent ideals. They argued that black Americans continued to face potential and actual violence at the hands of whites. In their view, the police were racist and hostile. Black Americans needed to protect themselves, by using violence if necessary. The Black Panthers saw their role as being to defend black Americans from white racism. This new breed of Civil Rights campaigner would not passively tolerate the violence directed at them by white racists. Instead, they met violence with violence. One consequence of this was that during the mid to late 1960s many urban areas of the USA experienced terrible riots. From 1965 to 1968 the Watts area of Los Angeles was ransacked by riots and set ablaze, as the battle for Civil Rights took a vicious turn. The worst riots, however, came after the assassination on the 4th April 1968 of the Civil Rights movement’s most admired figure – Martin Luther King.